At times the selection of spirits in the supermarkets can be quite restricted. You see the same brands everywhere - massive names made god knows where in bulk to be shipped to all four corners of the globe. There will be little interaction made between the maker and the gin, with the resulting spirit not having very much of a heart or soul. At Vinspire, we love to search out the artisan producers, those that create their wares for the love of the product. 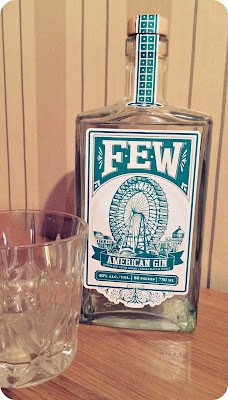 FEW spirits is a small Illinois-based company from Evanston near Chicago that has only been running a few years. All of their gin is produced in small batches with each bottle having a hand-written note of the date the gin was distilled, what number bottle it is from the batch, and a signature from the distiller. This just warms my heart, pure evidence that this is a small company producing gin with care and attention, an artisan product that requires real labour and human interaction and judgement. Not only that, but the labels are a nod back to the distillery's location, with artwork harking back to the 1892 World's Fair in Chicago. This retro style artwork is just cool, and can really draw you to a product, giving a flavour of what should be within with hints towards classic production methods, and locality of products. On the nose FEW is dominated by lemon, with cardamon, juniper and white pepper jumping up when you delve a little deeper. There is also a vanilla based toastiness akin to some oaked chardonnays that comes through after a while. The nose is light, but multi-faceted and poised - it's definitely a cut above your standard supermarket gin-shelf fodder. On the palate, the gin is surprisingly smooth and creamy, especially with an ice cube or two. There is no burn whatsoever allowing you to enjoy the sweet vanilla, sharp lemon, juniper, cloves and countless other botanicals including a distinct hop after-tone. This is a really clean, sharp and refreshing gin. It walks a nice line between the delicate aromatics and the bigger and beefier gins: FEW displays fantastic balance and quality, and has been rewarded accordingly, having collected numerous prestigious gongs. While this isn't the most complex gin in the world, using 50,000 different botanicals, there is no faulting it for it's quality of flavour, intrigue, individuality, or even branding. FEW have created a gin that is absolutely wonderful as a result of it's character, artisan production and most importantly, it's taste. You simply have to pick up a bottle, if not now then surely in time for Thanksgiving, which is just around the corner (November 28th). 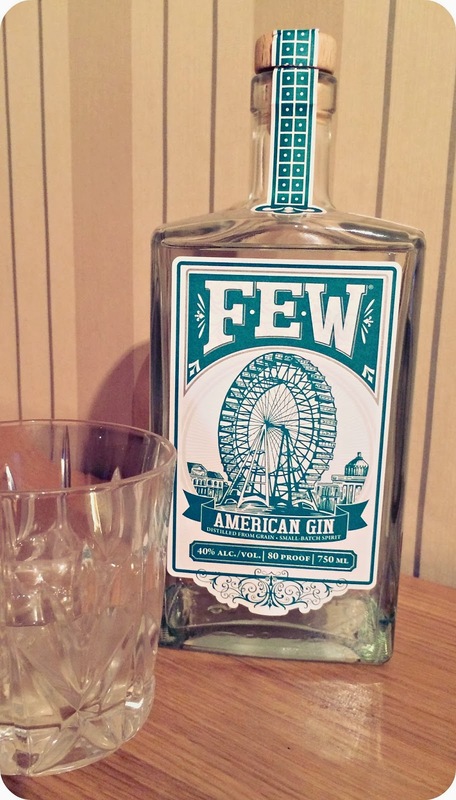 FEW American Gin can be purchased from Master of Malt for £32.95.